It has been a while since we got a taste of Fire Pro on consoles. 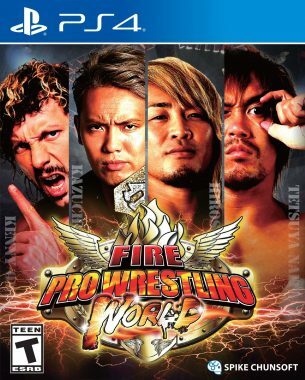 With the release of Fire Pro Wrestling World on Steam last year, we all knew it was only a matter of time before the title made a splash on another platform, and now Spike have brought the title to the Playstation 4 in a big way. With a bit more licensing than normal, can this wrestling game still make an impact? Let’s find out. It is insane that we even get to speak of this feature, as its addition caught most by surprise. 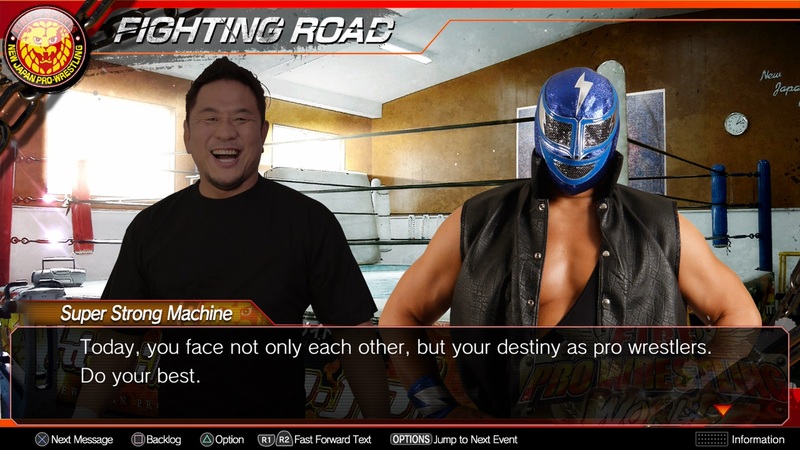 Fire Pro Wrestling World’s Fighting Road mode provides players with a story mode of sorts, allowing them to take part in New Japan Pro Wrestling storylines, featuring actual talent from the main roster. Sure, it isn’t the most refined of storytelling, but the mode is definitely welcome and adds a nice layer of content to an already packed experience. In a way, think of this whole story as a visual novel that kind of takes your favorite talent from NJPW and gives them over-the-top dialogue that serves to get you through a day to day regimen, living as a wrestler in Japan. Campy? Sure. But there is no doubt this opens a huge door for a lot of potential narrative down the road. The most important part of any Fire Pro title is always the gameplay. 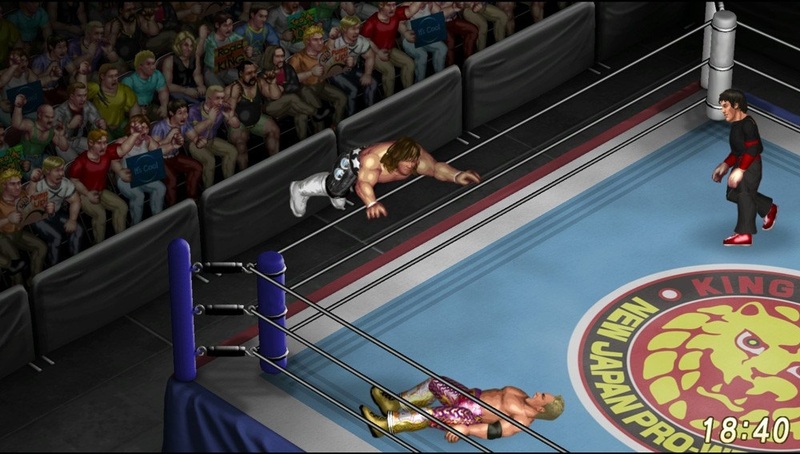 Rather than relying on visuals, Fire Pro relies on skill based competition that requires the player utilize their timing ability and ring intelligence in order to do a move. This means that unlike the 2K series or any other wrestling title in general, you cannot just go into a match, hit a finisher, and pin. Instead you have to work for every single input. The best way I can explain this is kind of broken down like this. In most matches, there are two performers. Performer A and Performer B, we will call them. If performer A wants to do a suplex to performer B, he can easily succeed if his stats are greater. However, stamina and general hit points must be depleted for that suplex to be done. Like wrestling, the opponent must be weakened with easy to hit “light” moves in order to land stronger “medium” tier techniques. Want to hit a “strong” attack? Well, you better slam a few medium moves to get the opponent ready, or they can counter. Counters can weaken you as well, so you must use caution and try to perform a wide variety of maneuvers in order to truly defeat your opponent. This may sound overly complicated, but it really isn’t. 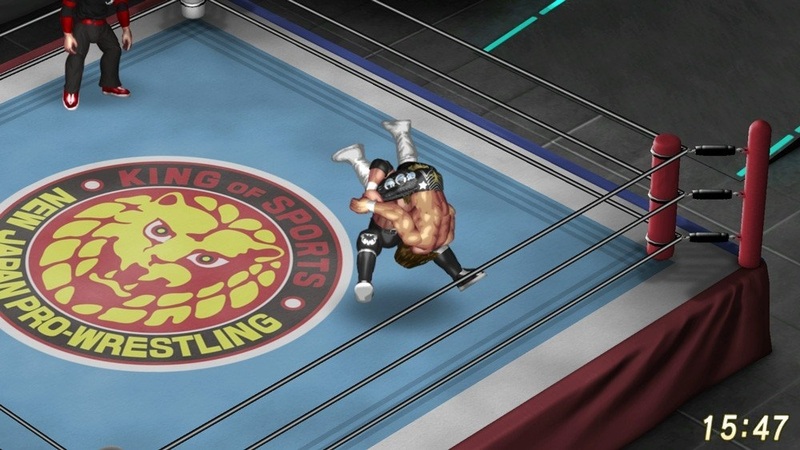 Fire Pro Wrestling World is the same Fire Pro experience we have come to know for decades now, and is a blast to play once you get over the learning curve. No other wrestling title on modern platforms will let you simulate the product to such a realistic degree, and that is what has made this franchise such a beloved mainstay when it comes to wrestling video games in general. This title also has a brain. Every single CPU can be modified in terms of AI. This means that if you want to make an AJ Styles that only goes for submissions, you can do it. If you want a weak wrestler that can only perform dancing taunts and silly moves, well – you can do that too. 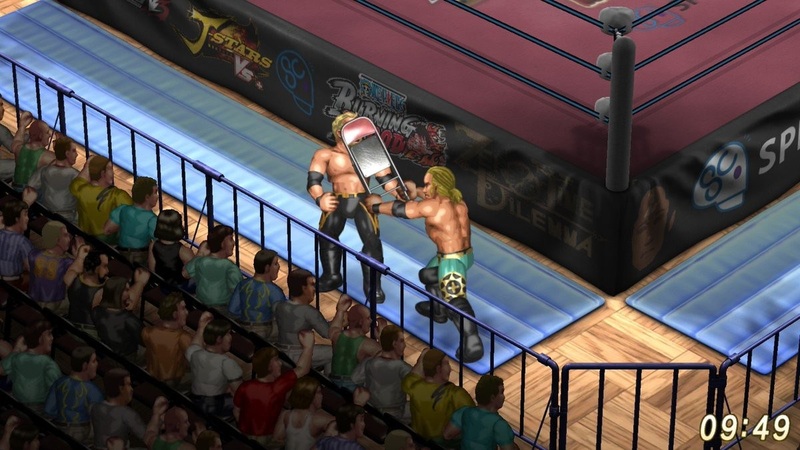 Fire Pro allows for customization on almost anything within the experience, and the ability to tweak the AI makes simply having CPU creations fight each other a true draw of the game. Edit Mode is also back, and bigger than ever. With over 1000 moves in from the start, the possibilities of who you can create are nearly endless, and the rather accessible character creator can have you whip up a pretty accurate custom wrester in no time due to the heavy amount of parts. Players and create as many wrestlers as their system memory can hold, and also edit mats, referees, arenas, and so on to their liking in order to simulate their favorite brand of sports entertainment. It may not be the most visual of wrestling titles, but it definitely has the most content ever delivered to the genre, with replayability as high as your imagination can take you. There are a couple of things within this console version I should address. First, this game at is current state crashes, a lot. I applaud the mirrored ability to transfer edits from PC to PS4 by simply transferring over a wrestler, part for part. I however dislike that the game crashed on me six times while making one edit and has some long load times overall. Sometimes, the slowdown in menus while finding a wrestler or a selection could also equate in a crash. To myself, this is a big issue. The game is so great and it seems to be just a patch or two away from perfection, but I definitely can say frustration was had during my time with the Playstation 4 version. If I had not already spent 150+ hours with the PC kin, I definitely would not have continued to persist to see the great product underneath what should be such an easy fix, once patched. Visually, this title stuns. Sure, it isn’t exactly great compared to the 3D fare elsewhere, but for Fire Pro fans who know what they are getting, the PS4 version looks amazing. Everything is just so crisp and colorful, and it is an amazing feeling to see Fire Pro look so outstanding in a console environment. Outside of minor hiccups, the animations are also fluid and refined, meaning every move looks great while being performed. Even with the licensing the general menus could use a little life, but other than that, Fire Pro Wrestling World is a beauty to behold within the confines of its own universe. The music is also well done. With some new tunes and effects sprinkled in, Spike did a lovely job with the audio for this port, as the toe-tapping theme music will surely get you in the mood to lose days and even weeks creating edits with no end in sight. While there definitely could be more fake themes to capture even more likenesses of major Superstars, I think everything is just fine within, as most should be pleased with the variety offered. Fire Pro Wrestling World is an absolute treat for the Playstation 4. It is almost an exact port of the PC version, which is a good thing, and the NJPW offerings simply give it a flare that will make this version feel like the definitive offering. That said, there is some patching that must be done with this title, as the load times and heavy amount of crashing can definitely cause some frustration for those of us who care so deeply about this product. Regardless, Spike have brought wrestling and substance back to us yet again, as Fire Pro Wrestling is still the most substantial video game take on sports entertainment to ever be created.